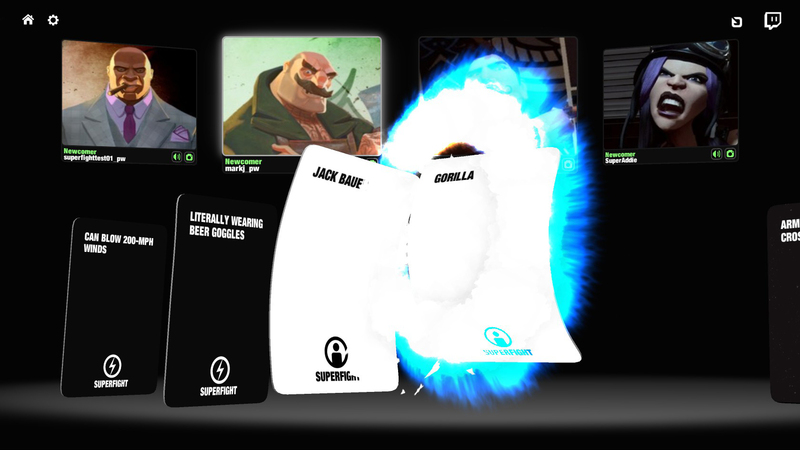 I’ve done reviews for the tabletop version of Superfight and it’s expansions, and now Skybound released an online version of the argument card game, so I had to check it out. If you want an explanation of how the game of Superfight works, I suggest you read this post about the original game. This is just a review of the digital version. The online version of this game is really fun. It takes out the maintenance part of playing the tabletop version, so it’s easier to play and explain to new players. The mechanics of the game are different from the card game because instead of one judge and multiple fighters, it is a 1-v-1 fight and all non-fighters judge. The graphics and animations for the game keep it visually interesting, and while gaining experience you unlock new cards in the core deck, thus motivating you to keep playing. You can also earn experience through voting in the game, whether on live games or already played ones. My biggest issues with the game are that it is made for streamers more than it is for anyone else. It is made to be broadcasted via Twitch and the chat votes for winners. This causes problems for non-streamers trying to play, because often the streamers have full groups to play with and not many other people are playing the game from what I have seen. There is also the potential for streamer bias, where the streamer gets more votes because of the chat, but that’s not an issue that Skybound can solve. Overall, the big issues is more people need to play in order to get games going. Superfight can be purchased on Steam for $9.99.The game also comes with expansion DLC’s both from the original game and exclusive digital expansions.